I take a humanities-based approach to the study of peace. Recent work involves the transmission of forbidden histories in contested spaces, young people's participation in conflict and reconciliation, and religious aspects of grassroots reconciliation. 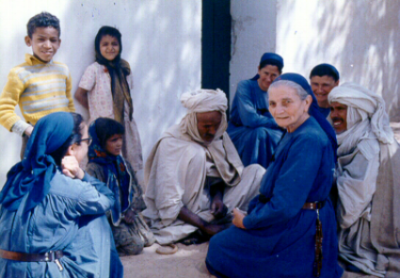 Founded in Algeria in 1939, on the cusp of WW2, the LSJ are a worldwide community of Catholic nuns who have never tried to make converts and have no formal ministry such as nursing or teaching. They live in situations of violence or inequality, taking menial jobs, in an effort to foster peace through being present. Through fieldwork in multiple countries and analysis of their life-writing, rooted in over ten years' friendship with them, I investigate how violence and reconciliation unfold in their lives. During the Second Intifada, a group of girls in Bethlehem began to read Anne Frank's diary. The Holocaust carries a political taboo in Palestinian society. 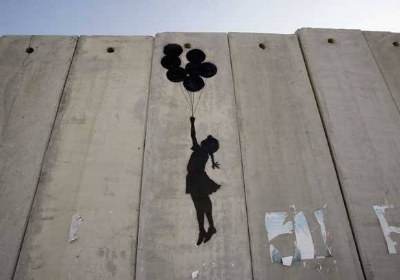 How did this forbidden history pass the separation wall at a time of increased repression, when data suggests that heightened violence leads to hardened attitudes? This inspired research with young people from across a polarised spectrum, exploring storytelling's role in the transmission of memory and the (re)making of community.